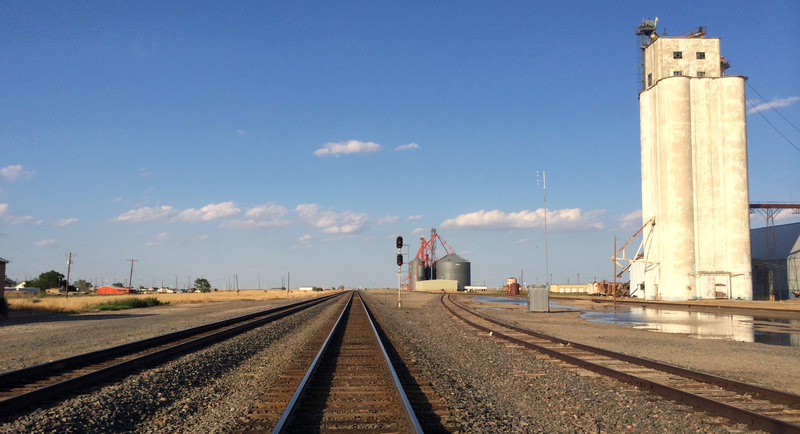 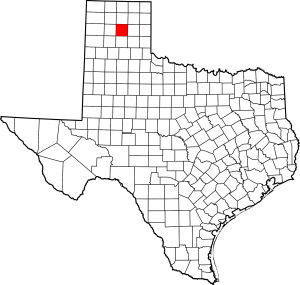 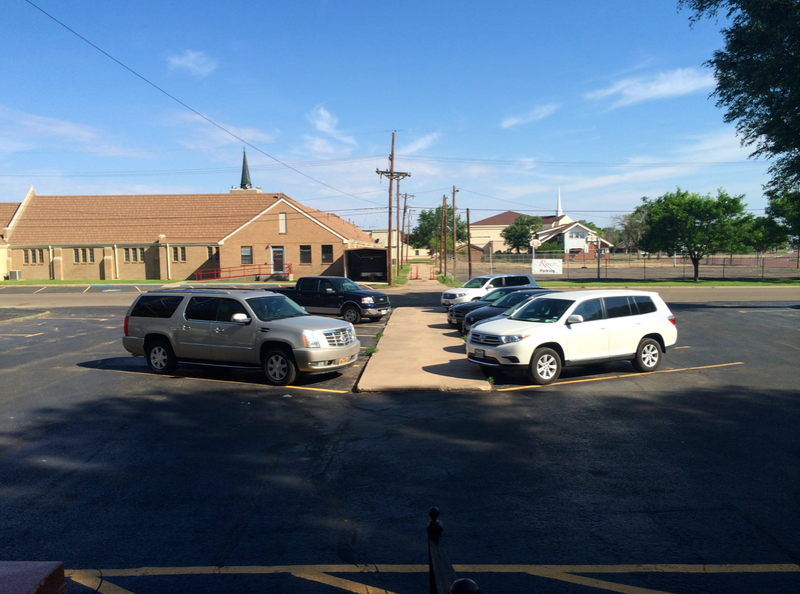 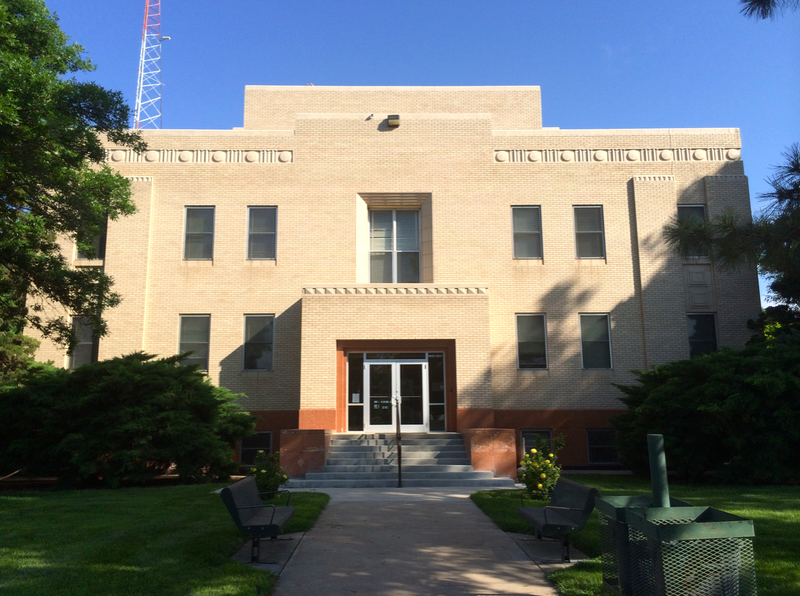 I was the guest of Panhandle and Carson County on May 29, 2014 and May 30, 2014. 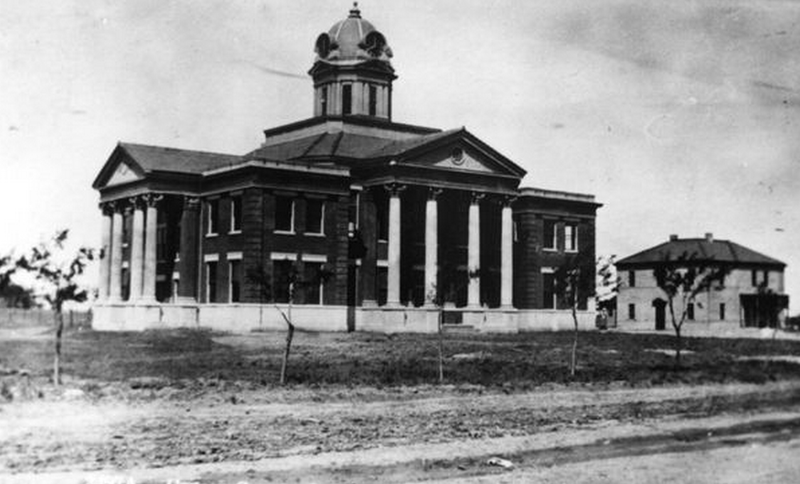 Much about this courthouse is unknown except that at some point throughout its existence, its cupola was removed. 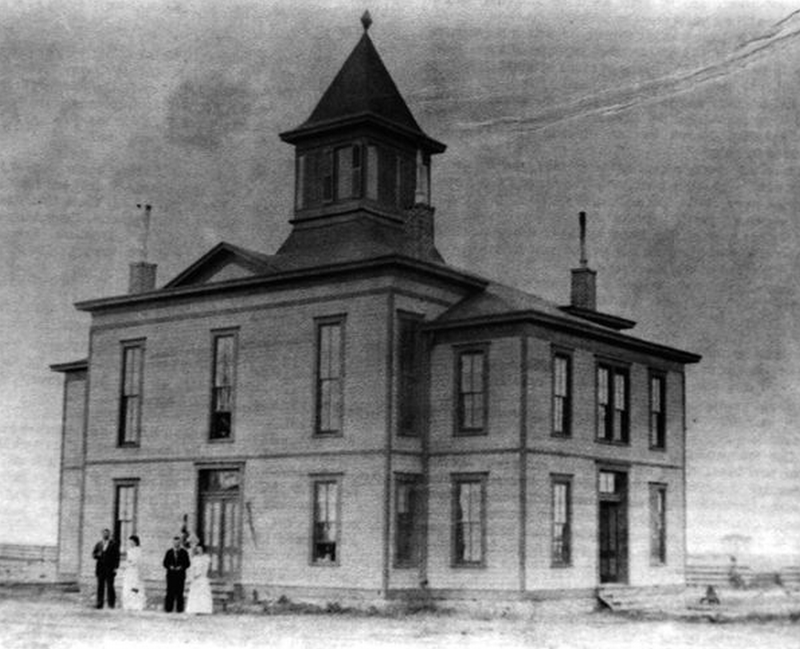 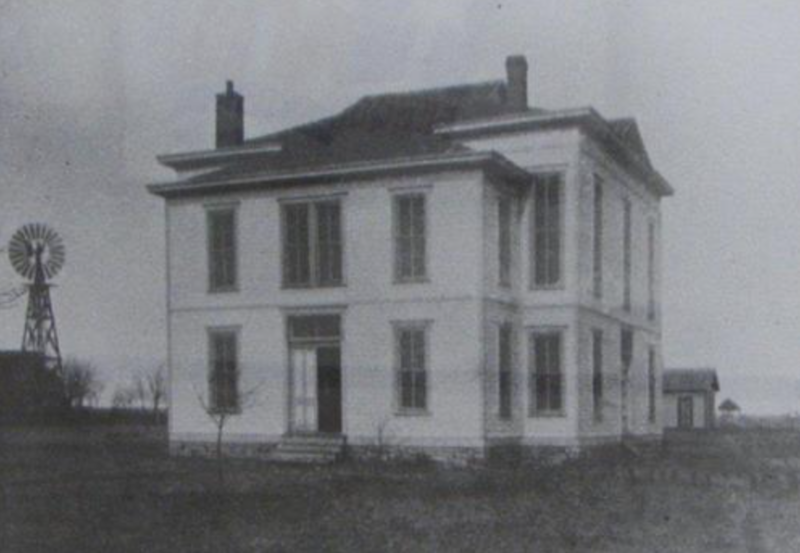 In 1901, the entire building was demolished. 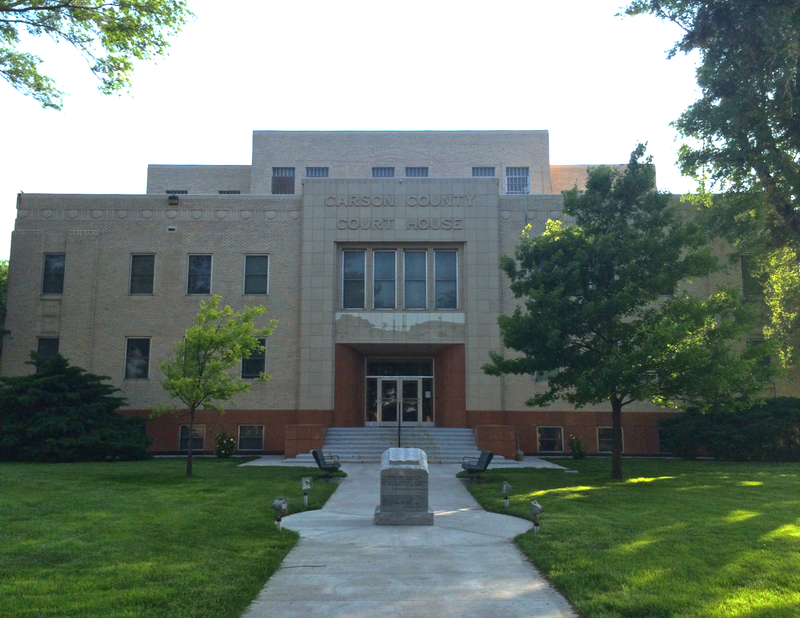 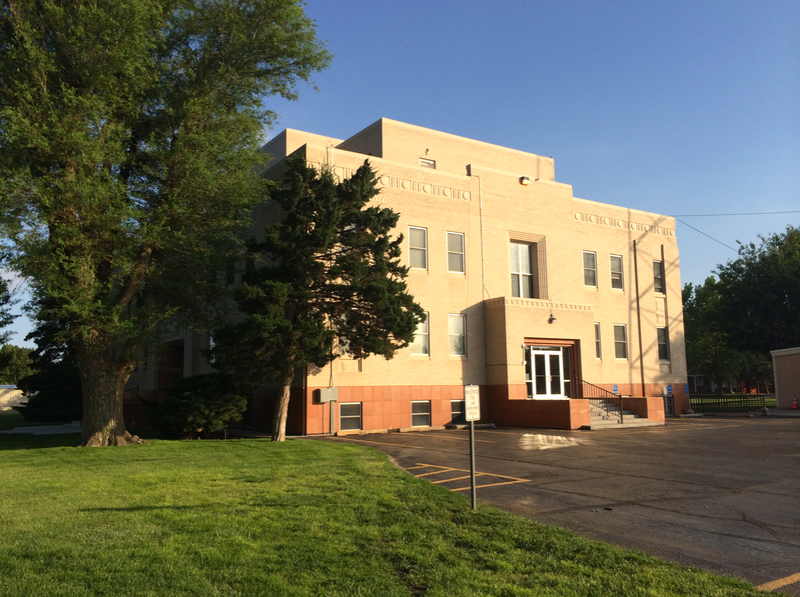 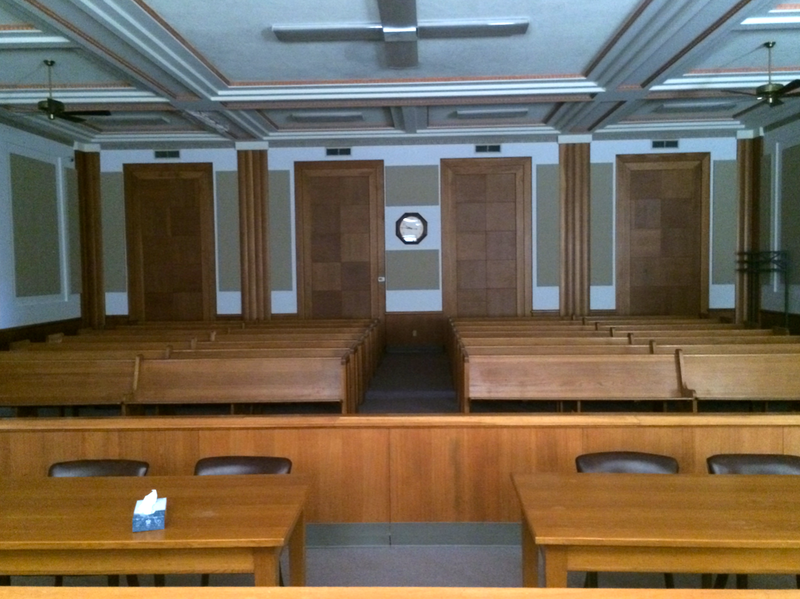 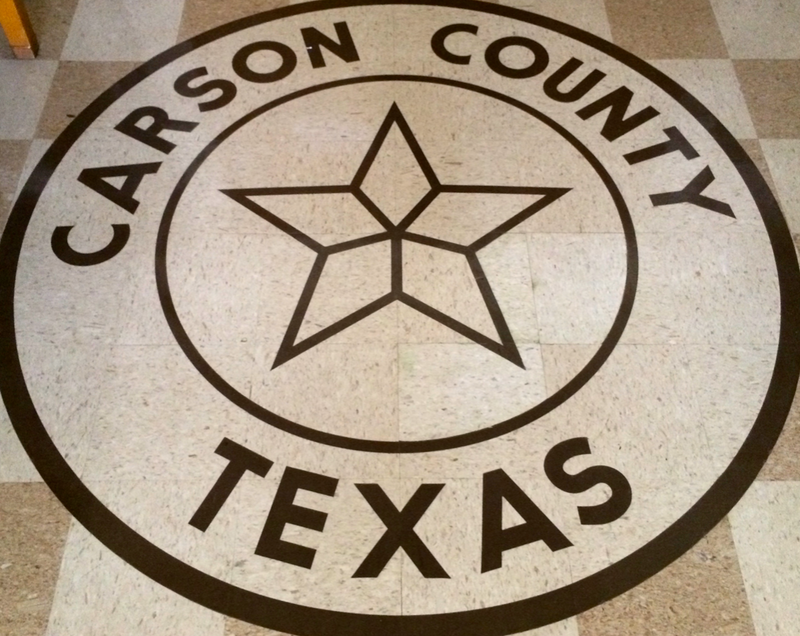 Eight years later, Carson County constructed this impressive courthouse as a proper successor. 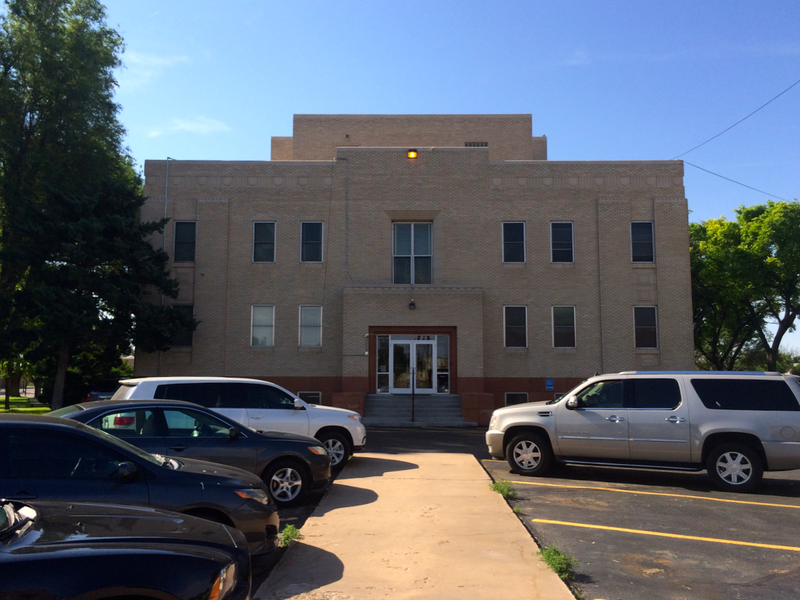 Surprisingly, there is no definitive documentation as to who constructed this Classical Revival building. 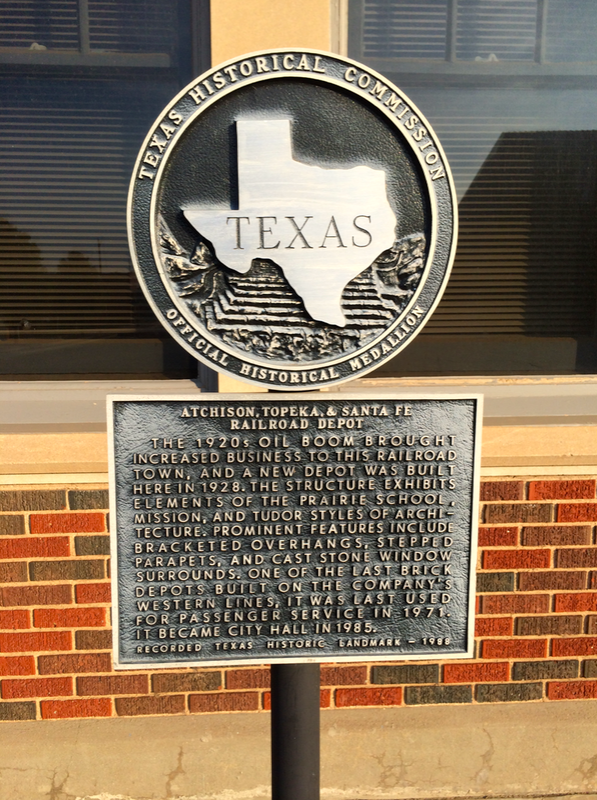 However, its overall appearance lends credence to the theory that it was Leslie L. Thurmon of Dallas. 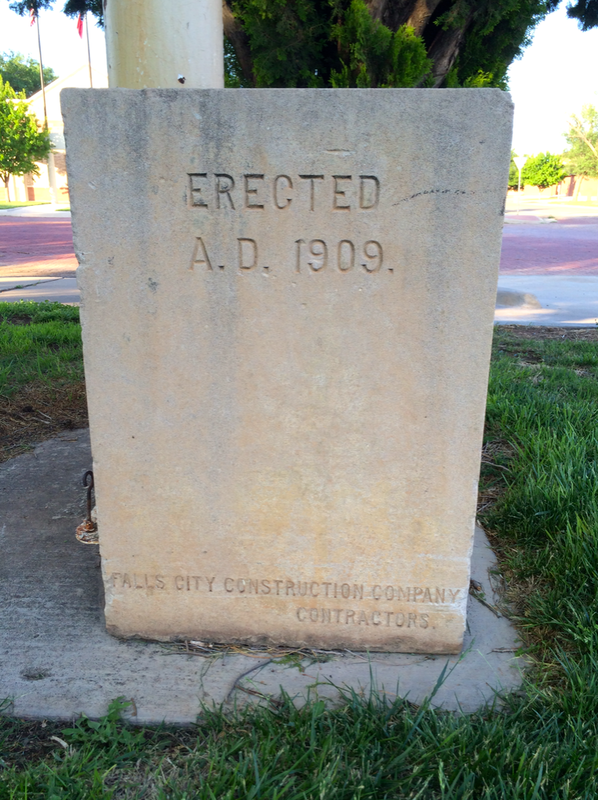 At any rate, the contractors belonged to the Falls City Construction Co. 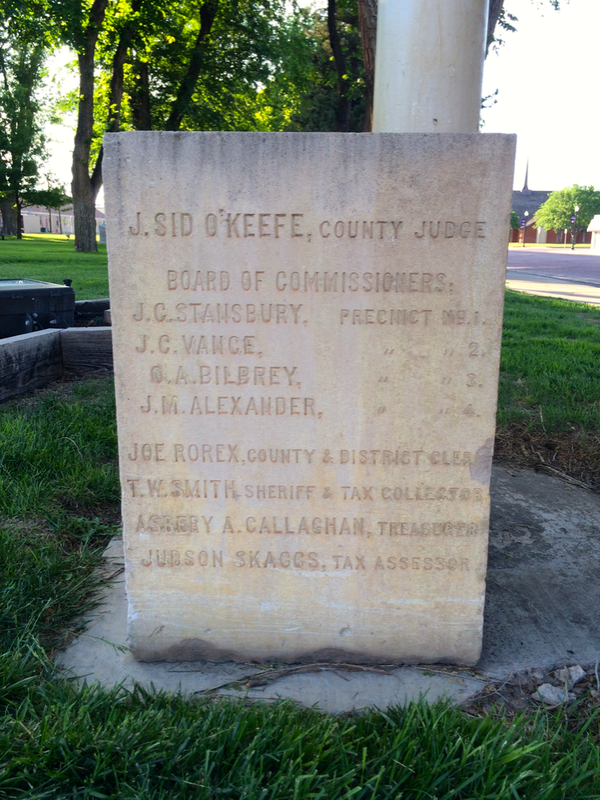 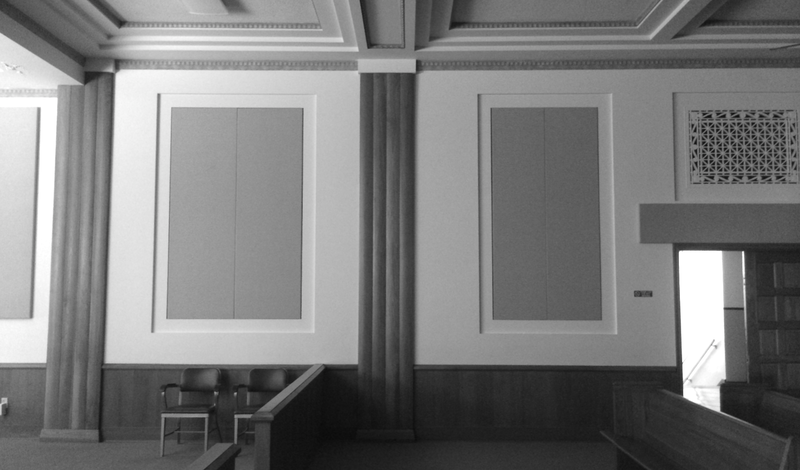 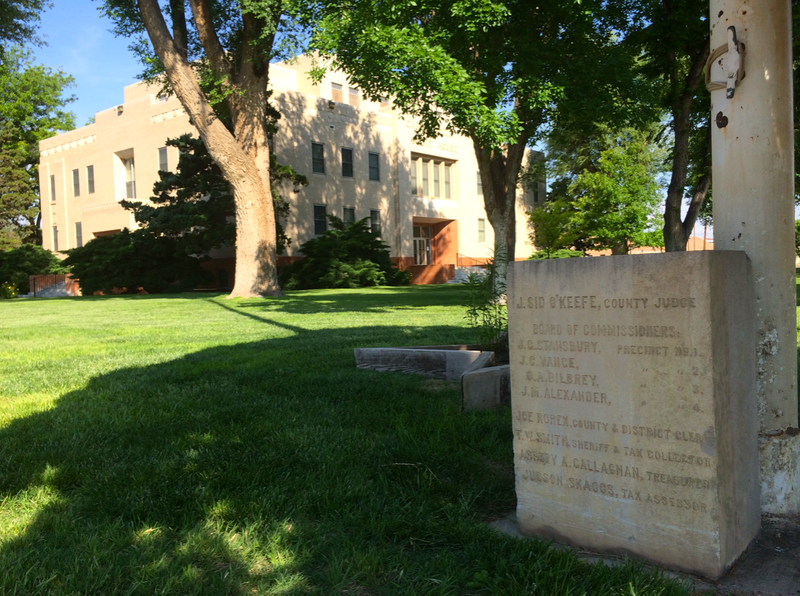 The courthouse was regrettably demolished in 1950, so the county could replace it with something more modern. 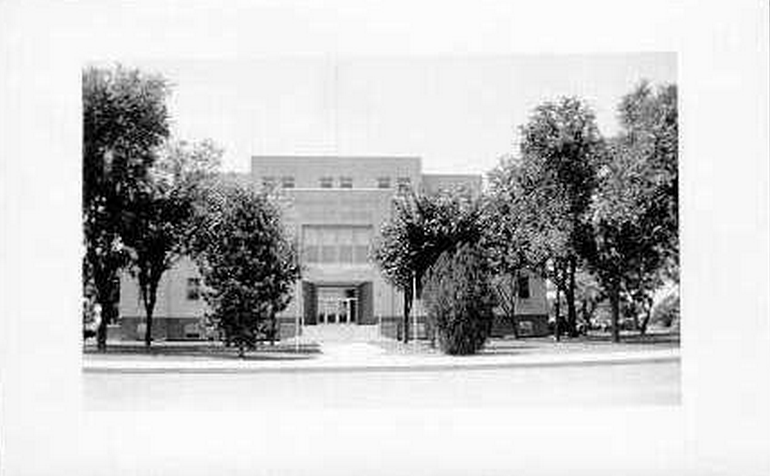 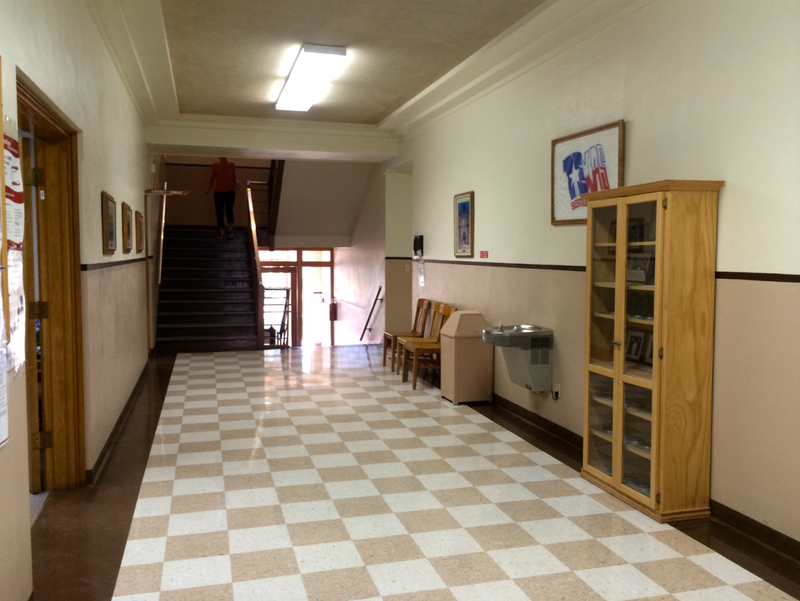 The Moderne replacement was designed by J.C. Berry, with aid from the Kerr & Kerr firm. 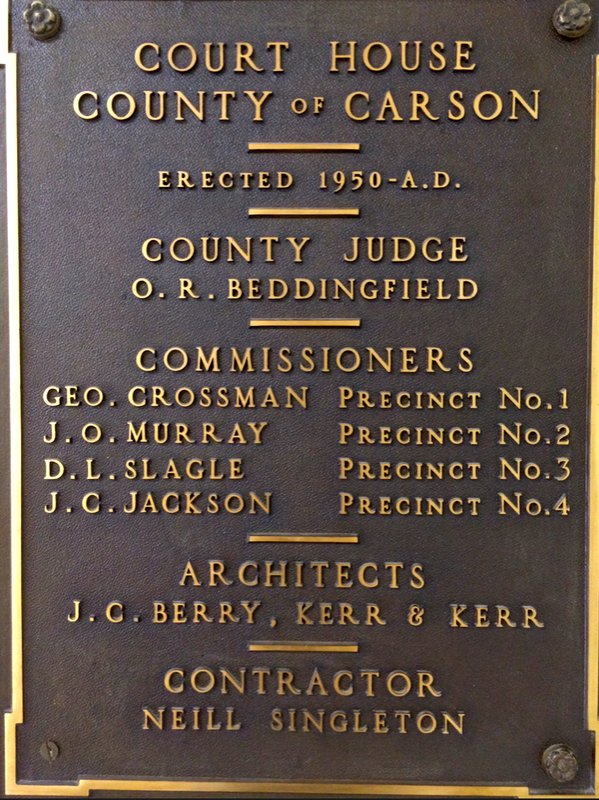 The contractor on hand was Neill Singleton. 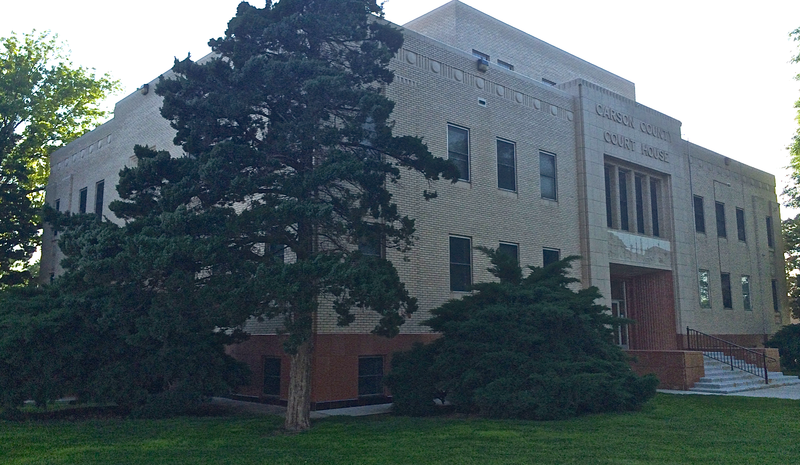 The main façade of the Carson County Courthouse faces northeast on Main Street. 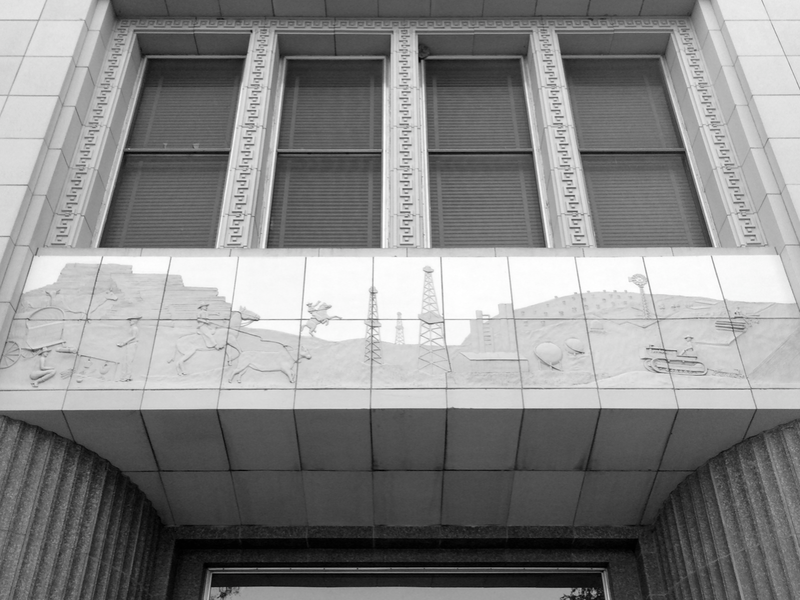 A detailed mural above the main doors portrays the county’s economic history. 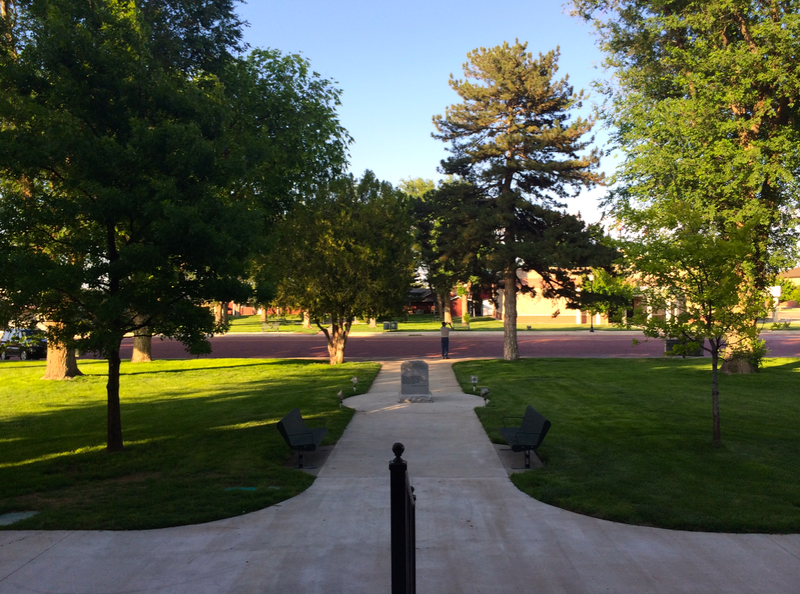 This is the view from those doors. 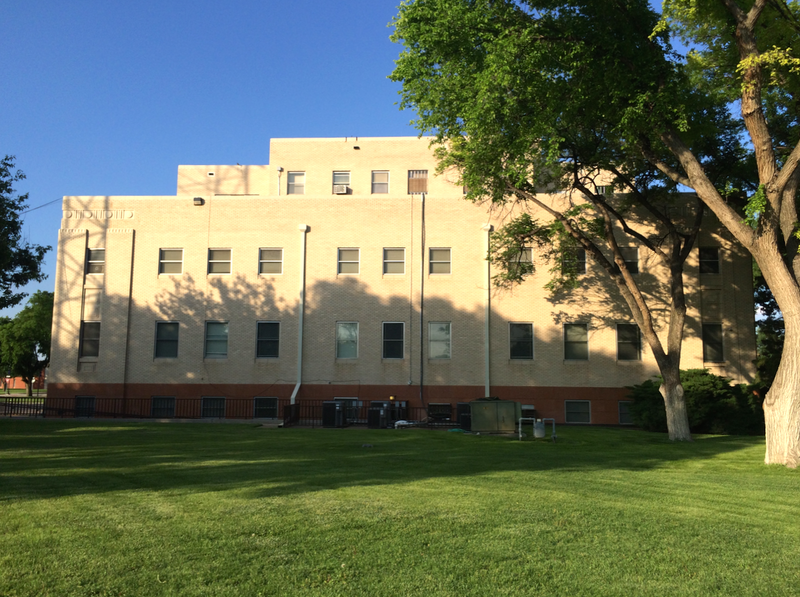 The southwestern façade holds no entrance. 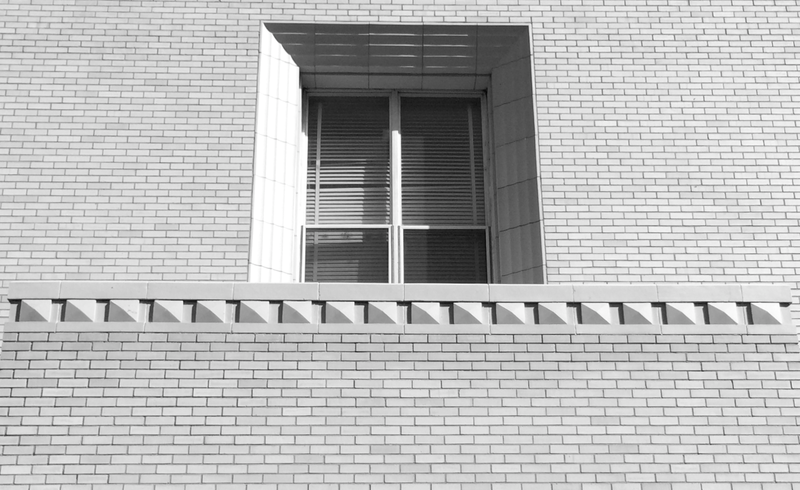 It faces Euclid Avenue. 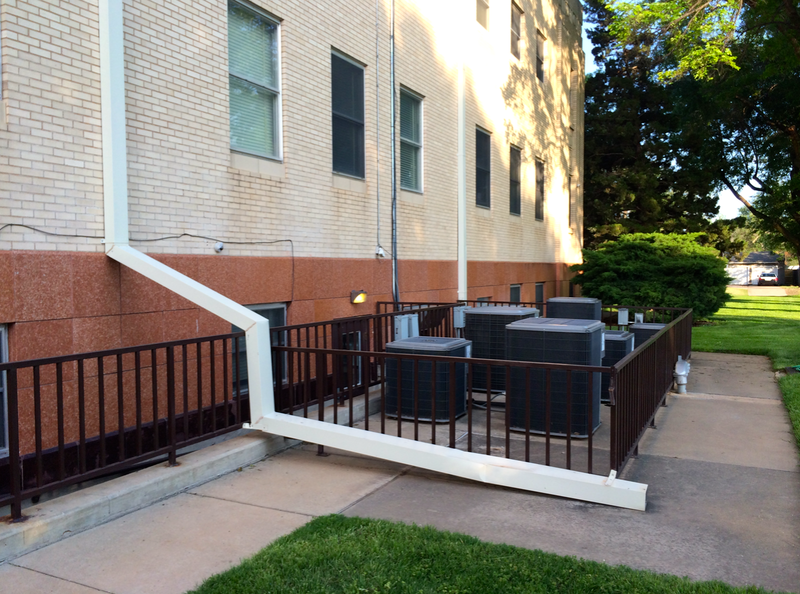 A series of air conditioners and a very long downspout grace this side. 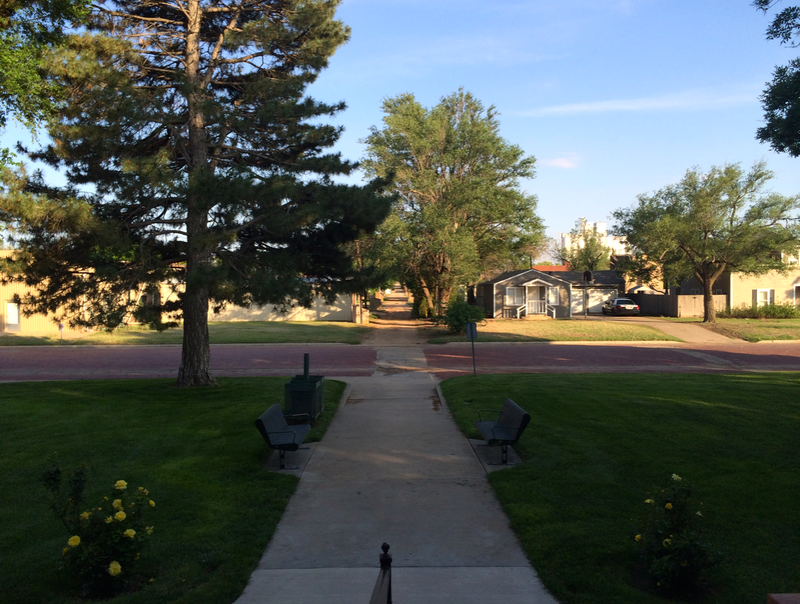 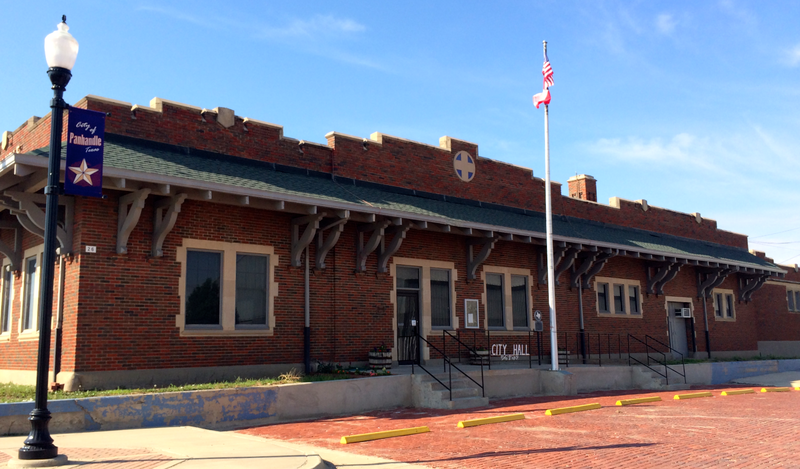 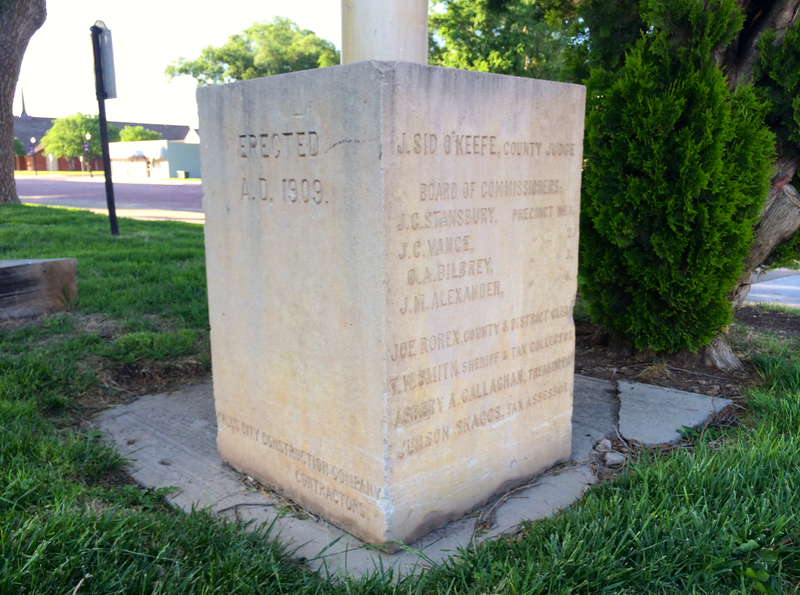 At one end of Main Street is Panhandle City Hall, housed in the historic Atchison, Topeka, & Santa Fe Railroad Depot.